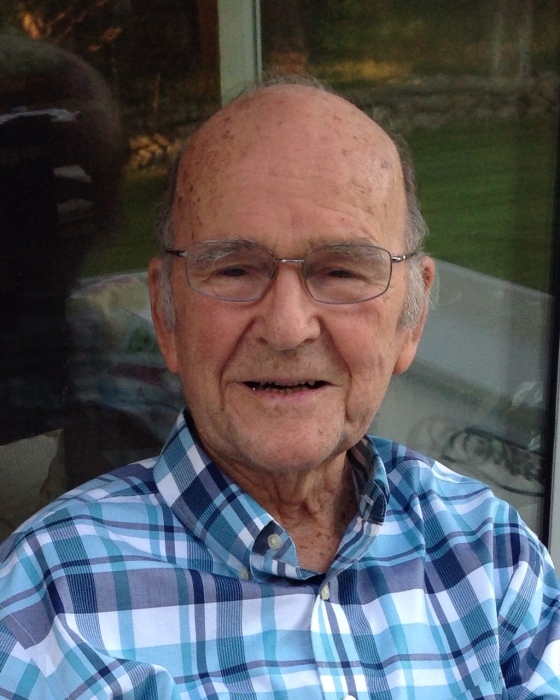 Donald F. Steele, Passed away peacefully at home in Cohasset on January 22, 2019, with his family and caregivers at his side. Born on April 2, 1927, Don spent his childhood in Darien, CT. As the youngest of seven, he developed an inquisitive mind, independent spirit, and deep dedication to family. His father, John A. Steele, was an early aviator and gifted mechanic, who joined Pan American Airlines in its infancy, and oversaw the Air Transport Command during World War 2. Don graduated from the Northwood School in Lake Placid, NY in 1945, where he excelled at football, baseball and hockey. After serving in the Army Air Force for one year, he attended Yale University on the G.I. Bill, graduating in 1950 with a degree in engineering. He joined Pratt & Whitney Aircraft as an engine inspector. In 1951 he married Joyce “Jeff” Volante, the love of his life, with $24 to his name, and for four years they moved for Pratt & Whitney to Dayton, OH, Tulsa, OK, Napa, CA, and Seattle, making life-long, fascinating friends in each town. Don spent a memorable January living at the Mt. Washington Summit observatory testing jet engines in extreme cold & wind. When Don finally landed in Boston in 1955, Jeff found Cohasset and declared she would never move again. Don was known for his busy mind and progressive thinking. His career as an inventor and successful business owner focused on designing technologies to help people and the environment. He started Pyrotector, to develop heat sensors for aircraft, located in the Hingham Shipyard. From that work, he developed the concept of the photoelectric smoke detector, receiving patents in the US and England and starting Electro Signal Lab to manufacture and sell the first detectors. He grew ESL from a basement in Weymouth Landing into a thriving company and major employer in Rockland. After selling ESL in 1977, Don and his partners initially developed plans to manufacture groundwater-source heat pumps, but quickly shifted their focus to the new technology of energy recovery ventilation. Don’s vision and persistence developed Airxchange’s heat wheel from a product first designed to improve air quality in mobile homes, into standard equipment in large HVAC systems around the world. The Airxchange family remembers Don, who worked into his mid-80’s, as an exacting yet generous employer, whose passion and dedication and brilliant mind were inspirational. Deeply philosophical and with faith in the goodness of humanity, Don believed in the ability of good government and conscientious individuals to make positive change. He contributed behind the scenes to key community organizations that brought relief or beauty into the world. He read constantly from the daily newspaper to books by great thinkers. And he took joy in watching the natural world of herons, fox, the towering oak tree, clouds and contrails, and the coming and going of the tides and seasons, from his serene home on the river. Don’s family gave him purpose and reward. He was a kind and generous father to his children and their spouses: Nina Wellford Price, Randy and Andrea Steele, Laurie and George Daniels, to his grand and great-grandchildren: Jan, Meg, Finn and Tilly Wellford, Katie, Dan, Jake and Cora Seidman, Derek, Brooke and Isabelle Steele, Michael Steele, Haley Steele, Aiden Daniels, and to his extended family, including surviving brother Bill Steele, sister Clara Eden, and brother Douglas Steele. His family is indebted to his amazing caregivers Martina, Katie, Ciara, Nora, Brona and Karen. He and his beloved wife Jeff, who predeceased him in 2017, were a team to be cherished. A Funeral Mass will be held at St. Anthony’s Church, 10 Summer St., Cohasset Jan 29, 11 am. Visiting hours at McNamara Sparrell Funeral Home, 160 So. Main St. (across From St. Anthony Church),Cohasset, Jan. 28 4-7 pm. Please consider contributions in honor of Don to Norwell Visiting Nurse & Hospice, 120 Longwater Dr., Norwell, or to the Atlantic Symphony Orchestra, P.O. Box 259, Hingham.